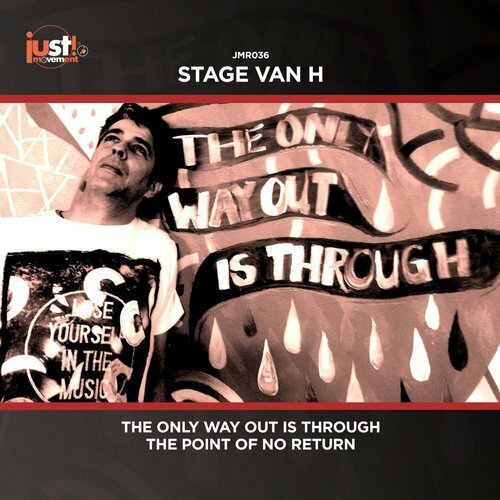 The 36th release on Just Movement welcomes Stage Van H back to the label for a brand new EP. As one of the imprints core artists the Dutch producer has played a major role in shaping the sound of the label. Now making his 20th appearance Stage presents his brand new two track EP entitled ‘The Only Way Out Is Through’. As a veteran of the underground, Stage has become renowned for his smooth grooves and warm textures. It’s a sound that’s earned him support from A-list DJs such as Hernan Cattaneo and the lead track here proves to be one of his all time best. Beginning with a shimmering atmospheric intro; warm, round beats eventually drop at the one and a half minute mark. Indistinct vocals trail through the framework as hypnotic motifs build nicely into the break. Soft acid lines add depth and texture as the third act begins with the storyboard becoming all the more intriguing as result. It makes for a smooth yet exhilarating finale that your dance floor won’t soon forget. The companion piece ‘The Point Of No Return’ finds Stage crafting a slightly tougher, driving piece which sits as a great complement to ‘The Only Way Out Is Through’. The acidic groove carries wonderful hooks as warm chord stabs and vocal elements fill out the atmosphere. Timely chord changes add an emotive spark during the main break before the beats return for a strong finale. Amazing work from Stage once again which rounds out another excellent release on Just Movement.